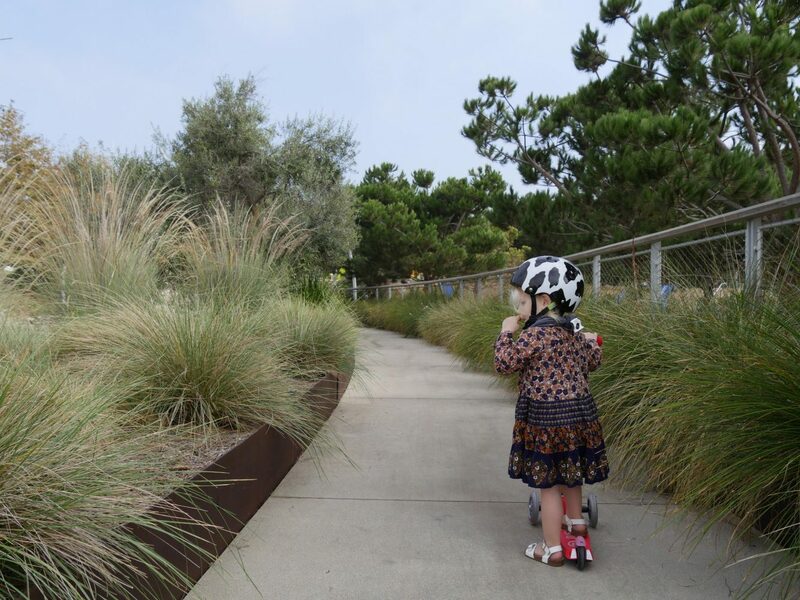 Tongva Park: A marvel in urban planning by the same team who designed the Highline in NYC, one of our favorite parks to take a break. Very enjoyable for children and parents, with a climbing wall & structures, a splash pad and beautifully carved pathways with lookout points and views of the ocean. Located in Santa Monica (Westside). El Dorado Nature Center and Regional Park: Slip away at this 105-acre plant and animal sanctuary! Dirt trails and paved paths that wind around two large lakes, a stream and forested areas. Located in Long Beach (The Harbor). 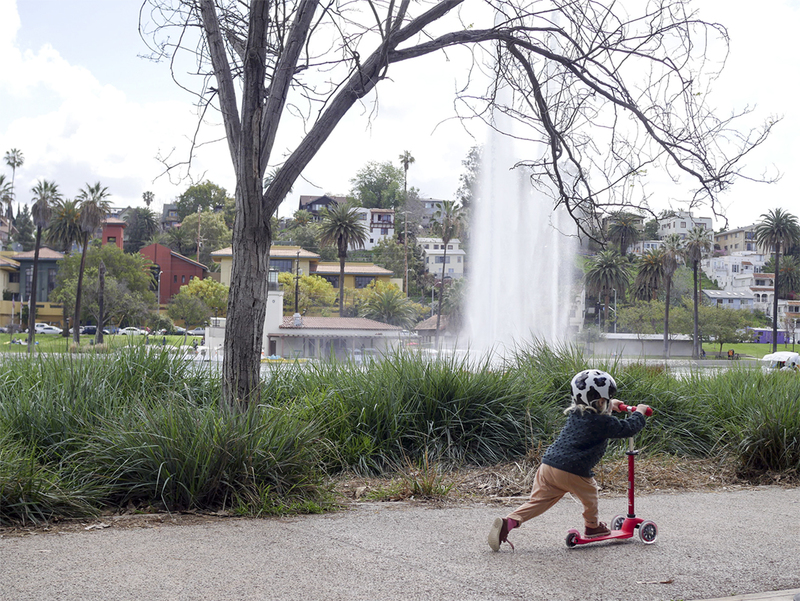 Echo Park Lake: East LA’s historic Echo Park Lake has become a family friendly destination after a massive makeover. Lotus flower blooms, Downtown skyline in the distance, large fountain, playground and picnic benches make this a great destination to take a break (and a nap on the lawn!). Located in Echo Park (Central LA). Grand Park: Located in heart of Downtown Los Angeles, this park feels like an urban oasis with picnic lawns, pink benches, a fountain and plenty of areas to sit, relax, people watch etc. (Central LA). 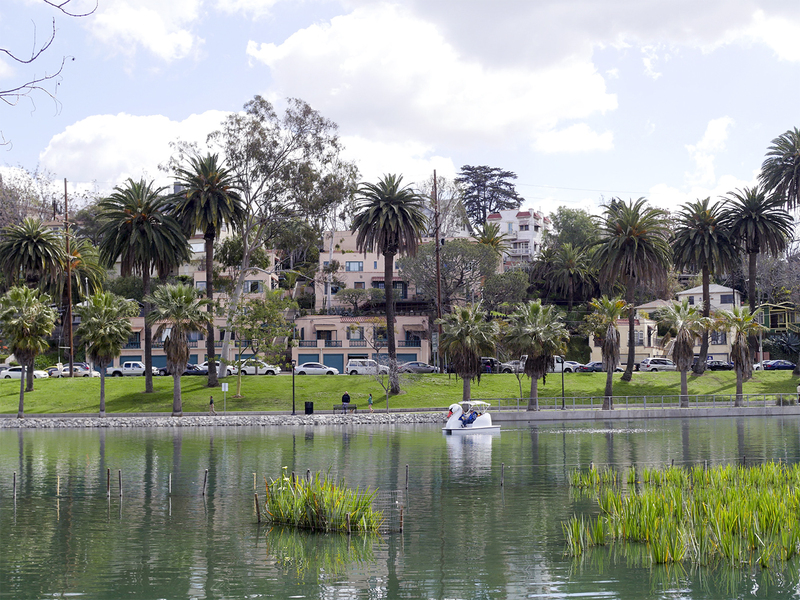 Lake Balboa: A large family-friendly park known for its beautiful lake and lovely picnic spots. In the spring the cherry blossoms bloom around the lake’s perimeter. Next door is the Sepulveda Basin Wildlife Reserve and the Japanese Gardens which are also great destinations. Brookside Park: Located in Pasadena with views of the beautiful San Gabriel Mountains, this park offers plenty of space for running around and playing at the ship-themed playground. The Rose Bowl Stadium is located here as well.